For a cool-off snack, take a bite out of this frozen yogurt treat. 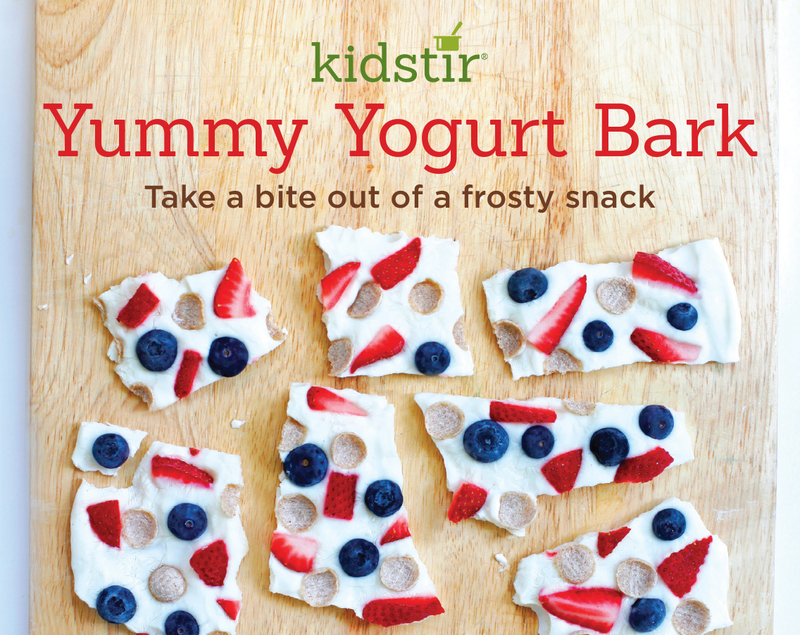 Encourage your kids to try different toppings to change the flavor. See the list above for ideas, or look in your kitchen cupboard! 1. Line a baking sheet with parchment paper. Use a spatula or the back of a spoon to spread the yogurt evenly across the pan, about 1/2 inch thick. Be sure it's not too thin or your bark may break. 2. Press the crispy cereal with your fingertips into the yogurt. Then press the blueberries into the yogurt, too. Cover up most of the white space, but leave a little room for the strawberries. 3. Cut the strawberries into small pieces. Arrange them in between the blueberries and cereal. For extra sweetness, drizzle the honey on top or sprinkle with chocolate chips. 4. Carefully place the baking sheet in the freezer. Freeze the yogurt bark for 2 to 4 hours, or until it is completely frozen. 5. Remove the bark from the freezer. Carefully peel off the parchment paper from the back. Then break the bark into pieces with your hands. Eat it right away or store in baggies in the freezer for up to a week.